There have been many new and exciting things that have happened in our community within the past couple of years! We have had several businesses expand and several completely new business that have opened. Ellsworth is growing and creating more jobs for our community. With this growth locally, Citizens State Bank & Trust Co. has also expanded by adding a new Highway Bank facility at the crossroads of Highway 156 and Highway 40. This facility was opened in May of 2012 and is now in a more convenient location to take care of all your banking needs. Stop in and visit with one of our friendly staff today! 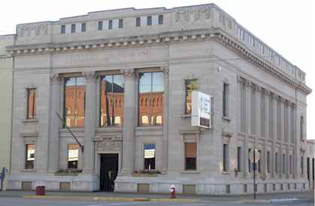 We continue to be Ellsworth's Downtown, Uptown, and Hometown bank! Come see all the new products and services that we have to offer. One of our friendly staff will be glad to help you with all your banking needs. We have an account that is right for you! Notice: (APY) is the Annual Percentage Yield. For more information about Deposit Accounts see Personal Banking.